* No extra tools required. 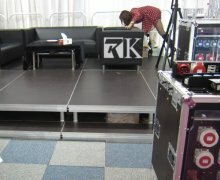 It’s very easy to build a beautiful mobile stage. * Easy to install,storage and transport ,can be assembled in minutes. 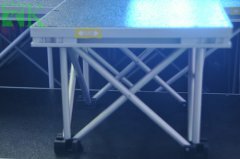 * Virtually unlimited size or configuration, allows you to use the same stage for all your needs and change the size,height and shape as you need. Most Professional Stage Supplier Help You Bring More Customers!! Why is RK Aluminum Truss System the Best Choice for You?